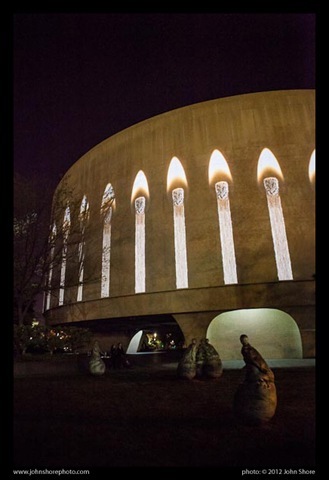 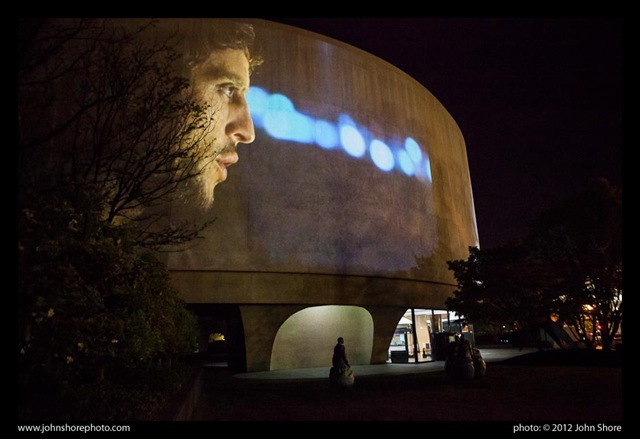 Speaking of Hirshhorn surprises, after sunset the exterior becomes a video screen, with eleven high def projectors displaying the “the first-ever work of 360-degree convex-screen cinema”. 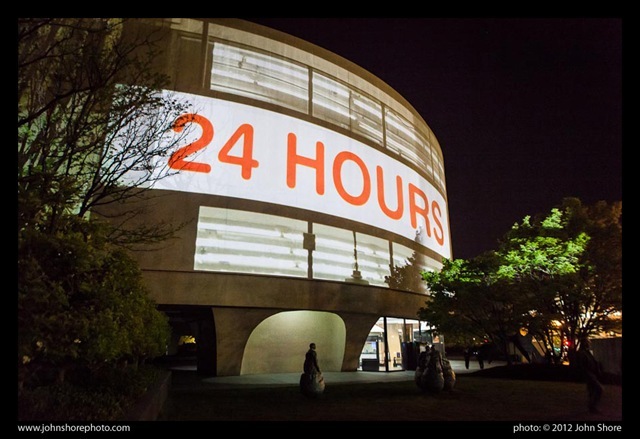 It’s Doug Aitken’s SONG 1, which you can see and hear until 13 May (after which it enters the museum’s permanent collection, whatever that means). The soundtrack is a seamless, haunting mashup of the 1934 standard “I Only Have Eyes for You”, which Aitken produced from dozens of versions he commissioned from stylistically diverse musicians. It’s a treat, and fun to shoot.